Here is our yogurt rant. It always comes up when yogurt commercials come on the television. One large yogurt company did a commercial bragging about REMOVING high fructose corn syrup from their yogurt. Wait? High fructose corn syrup? When did that become an ingredient in yogurt? Well, of course, it is not, but then neither is sugar. The other pet peeve is yogurt bragging about "putting" probiotics into their yogurt. Wait -- isn't that what yogurt is? If you produce some over-pasteurized, over sweetened, milk by-product in a cup with spoonful of candy -- it ain't yogurt -- don't tell us it is! When we first saw Blue Hill savory yogurt we fell in love. It is real yogurt. Who wouldn't love savory yogurt? We also pulled out all of our yogurt cookbooks, because we knew we had a goldmine in these little dark containers. Then, we had to find them in stores. We lucked out at one of the Wegman's in Virginia. There is always a cooler positioned in the back of the Element to smuggle goodies into West Virginia. Our last batch, we decided to make a couple of yogurt cakes. We had never made a yogurt cake before. After looking at dozens of recipes, we came up with a recipe that used a six ounce cup of yogurt, since we didn't want to mess with measuring the the yogurt. The other thing we really wanted to use were some really big raisins that we had on hand. None of the yogurt cake recipes we looked at featured an addition of fruit into the batter, but we wanted to give it a try. 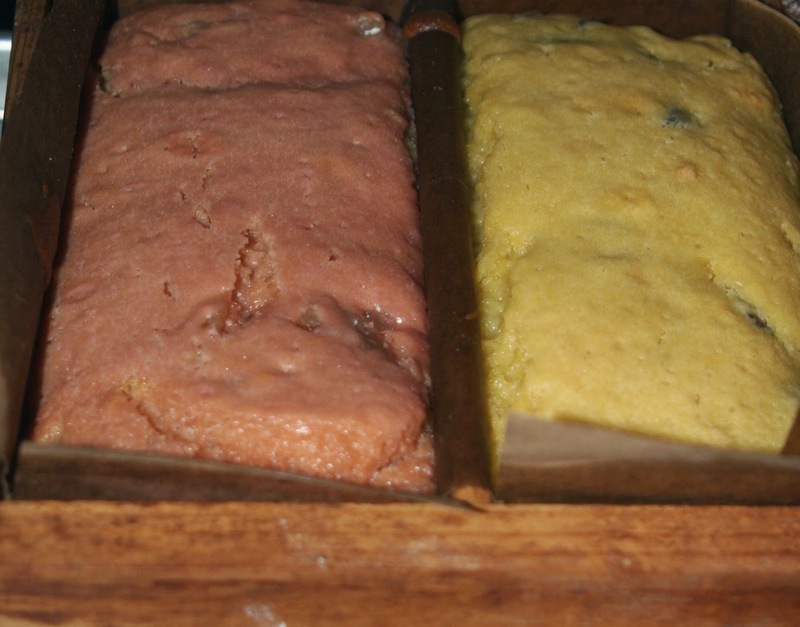 These cakes were mixed in a bowl with a fork, no mixers were used. A definite plus. The ginger was a bit too chunky. The raisins were too big. Next yogurt cakes will feature a glaze on the outside instead of fruit on the inside. Here is the basic recipe for one loaf cake. This is the butternut squash cake, with instructions to change it to the beet cake. Line a loaf pan with parchment paper and spray lightly with cooking spray. Sift the flour, baking powder and salt together in a bowl. In another bowl, mix the sugar, eggs, and yogurt and mix well. Fold the flour mixture into the yogurt mixture until just incorporated. Do not over mix. Fold in the olive oil until just incorporated. The oil likes to float on the top, so make sure it is incorporated. Finally, stir in the raisin. Pour into the lined loaf pan and bake for 1 hour. For the Blue Hill Beet Yogurt Cake replace the butternut squash with the beet yogurt. 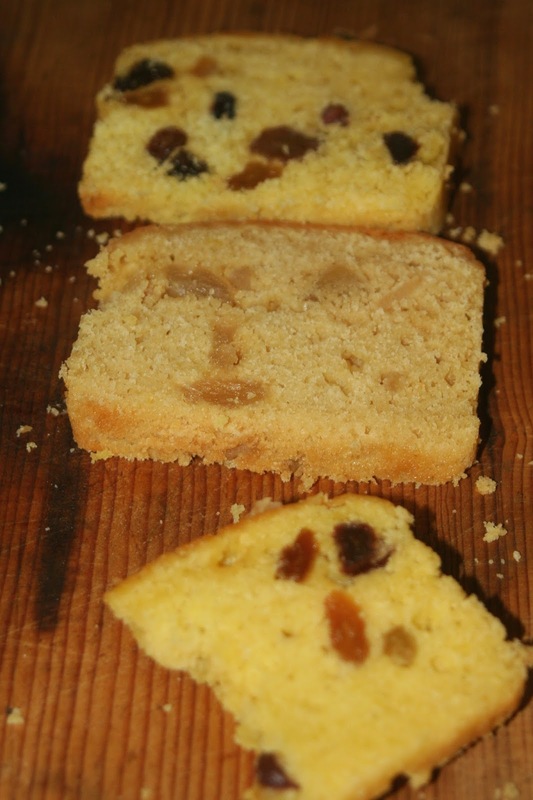 Replace the raisins with chopped, candied ginger. Next time out, we are leaving out the fruit and going with a glaze. We are already working on a beet and yuzu glaze for the next Blue Hill Beet Yogurt Cake are looking forward to more time experimenting in the kitchen with Blue Hill Yogurt.